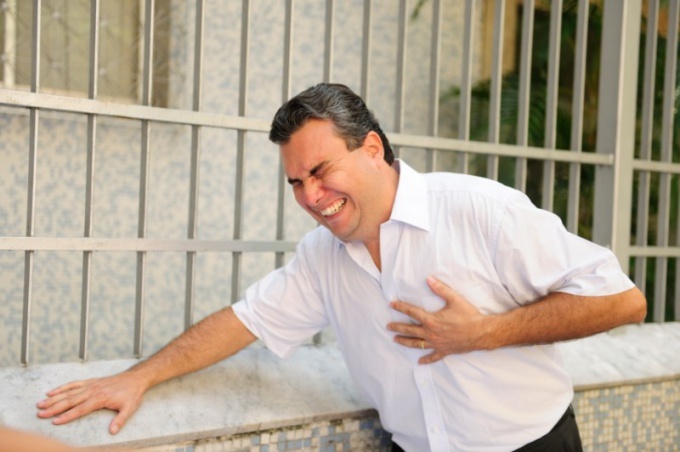 Angina is one of the forms of ischemic heart disease. The disease is characterized by partial obstruction of the arteries supplying blood to the heart, causing the heart muscle cannot get the oxygen and nutrients in sufficient quantity. Angina is manifested as pain behind the breastbone that may radiate to the left shoulder or arm, neck, jaw or spread across the chest. To the development of coronary heart disease has not led to myocardial infarction, angina you need some way to change the way of life. Ill understand that, but often make mistakes. The most common mistake the strokes – the desire to completely give up physical activity. In a certain amount of exercise is always useful, including in the case of heart diseases, it is only reasonable to dosing. Cardiologists recommend patients with angina is the most physiological and natural exercise – walking. To do it depending on health. Signs of optimal load – no shortness of breath and heart rate no higher submaximal values, which is calculated by subtracting your age from 200 (for example, if a person is 55 years of age, his importance submaximal heart rate is 145 beats per minute). To monitor their condition is necessary in all physical activities and all changes to reported to your doctor. If you have to do the heavy work, 5 minutes before it is necessary to take nitroglycerin. Some patients, barely feeling the pain in the chest, immediately call "Ambulance". No need to rush, you can first try to remove the attack alone, sometimes it is enough to sit still or lie down for 1-2 minutes. If the pain is not gone, you must put the tablet under the tongue nitroglycerin, and if the pain will not pass after 5 minutes make another one. And only if after the second tablet the pain persists, you must call "Ambulance". The other extreme is to neglect the treatment, expecting that during the attack the pain will go away itself, without providing first aid to yourself. One side effect of nitroglycerin is headache, and this causes some patients to voluntarily replace it with some other medicine or even refuse to accept any tablets. This can not be done. If after taking nitroglycerin worried about the headache, you can take it in pills and in the form of drops or aerosols – then the side effects will be less. Sometimes patients take the medication only 2 times per day since 4 full cups inconvenient for them. This reduces the effectiveness of treatment, because many drugs from the group of nitrates, which are prescribed for heart disease, can not act for a long time. If you take medicine 4 times a day is inconvenient, you need not to change the schedule of willfully, and ask your doctor to prescribe another drug or substitute pills a patch that contains nitroglycerin.